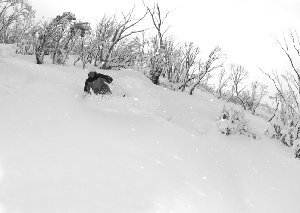 This is a special time of year in the Aussie mountains, its opening weekend so all the anticipation and waiting is over, the ski season is here the long summer finally behind us. However that one vital ingredient was yet to come, the snow. 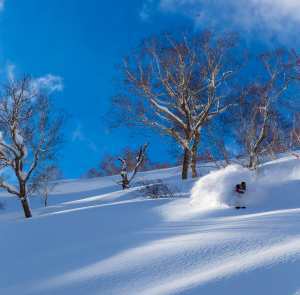 The wait and anticipation for snow is huge, and when it hits the transformation of our resorts is remarkable. Saturday’s season kick off at Falls Creek saw lots of people about and plenty going on. We had Ministers on call to declare the 2009 snow season open, film and TV stars in town for the Film Fest were seen tucking into a nice breaky at the newly opened Last Hoot restaurant. The new plaza precinct and St Falls was abuzz as its bars restaurants and hotel, all still smelling of freshly painted walls opened for business. The Foodworks supermarket also in the St Falls complex opened as a welcome addition to village. The Man was pumping with live music, resident muso Uz was getting the crowd going at Silverski, Harvey Hour at the Mo’ie went for it’s customary 3 to 4 hours. It was business as usual. However there was no snow on that Saturday and while there was a good vibe around the resort there was also a certain amount of collective angst. However in the wee hours of Sunday morning it all changed. 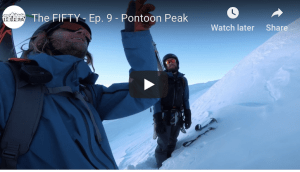 As crew rolled out of the wrapper in the morning and with crusty eyes checking the day all were greeted with 5cm of the good old white stuff on the ground and it was still bucketing down from the sky. By days end there was 10cm settled and things were looking good. A simple act of nature, a decent snow fall completely changed the resort, the mood, the look, the dynamics of the place and everyone was buzzing. Grown men and women, like puppies, were frolicking and throwing snowballs, kids were making snowmen, skis and boards were getting dragged out of cupboards and boots dusted of for the all important first slide. Yep the wait was over, the snow had come and winter was here. The season may have been officially opened by minister Gavin Jennings the day before, but only now with snow on the ground and more to come is the season “officially” happening. Regarded as Australia’s best ever alpine skier with a competitive career lasting just on 25 years including 200+ world cup starts for 20 top 15 finishes. Steve is a three time Olympian and the second of only three Australians to claim victory on the Alpine World Cup circuit. In his travels he has seen most of the world’s alpine areas and the odd beach. Worked in movies along side Roger Moore and stunt doubled for legendary action film star Jackie Chan. Steve has been involved in ski media for 25+ years across all mediums. 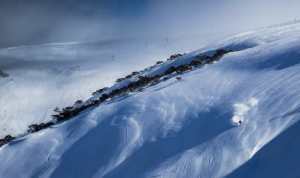 Commentated and hosted at four Olympic Games becoming the voice of Australian winter sports. Look out for him again at the 2010 Vancouver games. In 1994 he co created Chillfactor.com Australia’s first snow sports website which later morphed into Australia’s best ski mag working together with Reggae Elliss. He remains committed to the competitive aspect of skiing as president of Falls Creek Race Club has sat on the board of Olympic Winter Institute and served as a National selector. 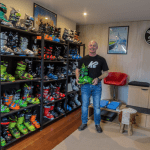 Steve is very excited to be a part of the Mountainwatch team and continue developing quality online and magazine offerings for Aussie snow lovers.